My brother is getting married to one of my best friends at the end of the month and I couldn't be more excited! The bride, Camille, will be wearing a vintage dress from Salvage Life that we have redesigned together with the help of a seamstress. 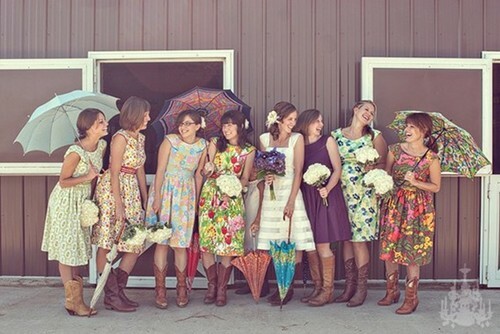 The bridesmaids will all be wearing mismatched vintage floral dresses from Salvage Life, inspired by this photo. We all have our dresses and are currently looking for shoes and belts. 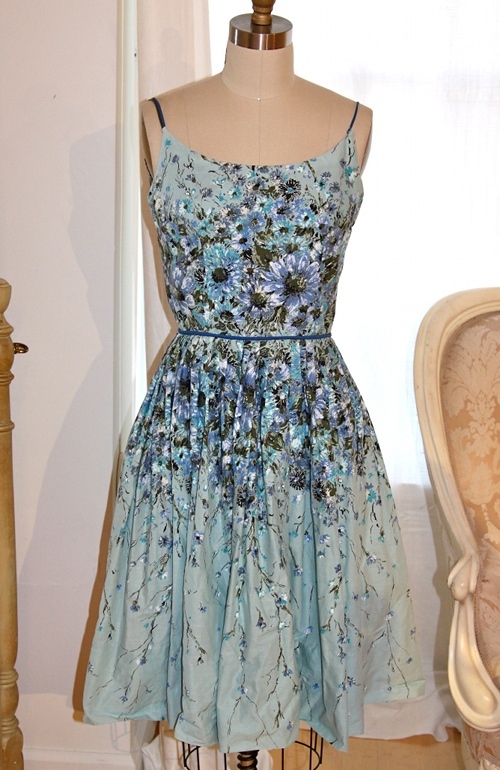 Here is a photo of my dress and some shoes I am looking at online. I would love any feedback you might have on which you think would look best. 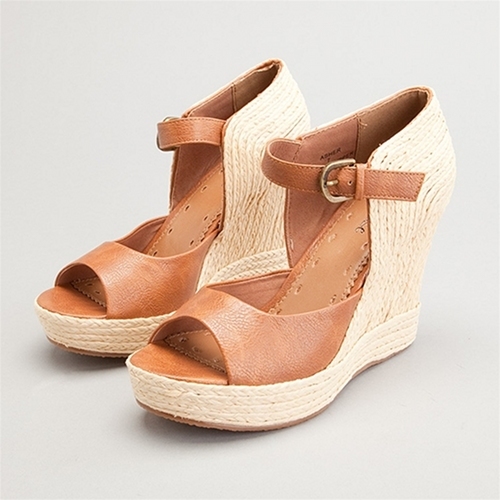 We are going for some kind of natural toned shoe and it will be on grass, so I am thinking a wedge or stacked heel. The first three pairs are from Anthropologie and the rest are from Lori's Shoes. Lori's is great, I have never shopped there before, but I actually already bought the last pair shown and am waiting for them to arrive. They may not be the right style for the dress, but I am sure I will get a lot of use anyway. Please let me know your thoughts! I don't see a picture of the dress, is it there? I like the shoes you picked and are waiting for them to arrive. My concern would always be having shoes in which you would be comfortable and stable on grass. Also, you want shoes that will not be stained by the grass or moisture. I'm nothing if I'm not practical. I love the picture of your "little helper" arranging the shoes. 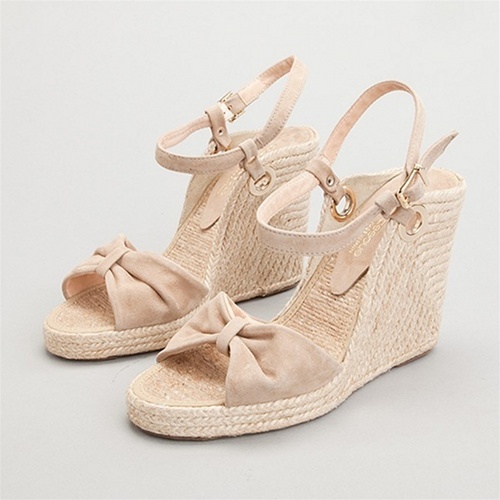 oh i like the white wedges with the bows on the toes (3rd from the bottom) very pretty! 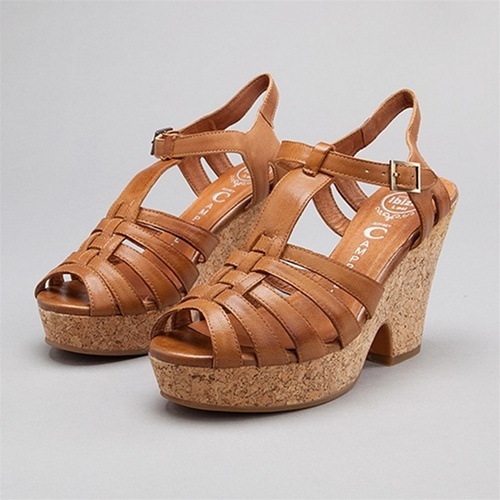 now that i've seen the dress, i'd vote for the shoes with the wood soles! the fabric of the dress seems like it would be at war with any accessory involving sisal or jute and as someone else pointed out - the grass may STAIN the hell out of the rope and it'll be impossible to clean! I love the 4th shoe down (those are my wedding shoes!) but I think with that dress, the 6th shoe down is best. 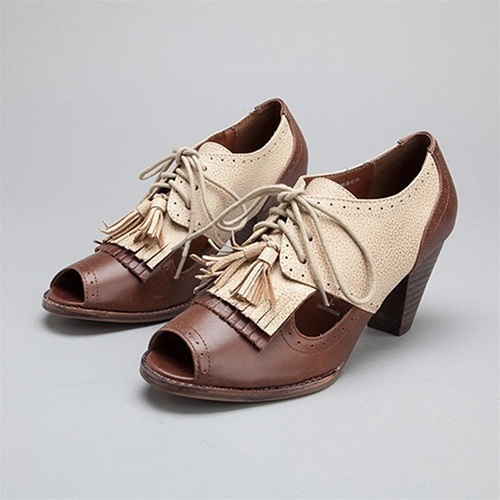 The dress is kind of flowy and feminine and that bow gives the shoe a feminine feel. But really, you couldn't go wrong with most of those shoes. They are all very pretty. I really like the 3rd shoe! The bows on the front are adorable. I need to find my bridesmaids wedding shoes soon. Hopefully that won't be too hard.